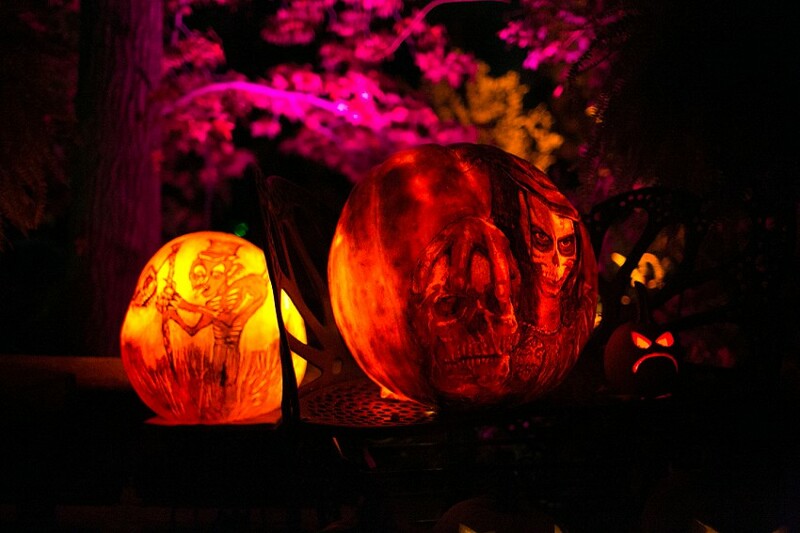 October 18, 2013 – I think jack o’ lantern walks might be the ultimate expression of Halloween and Fall. This is still a theory I’m working out in my head, but let me show you what I have so far, see what you think. 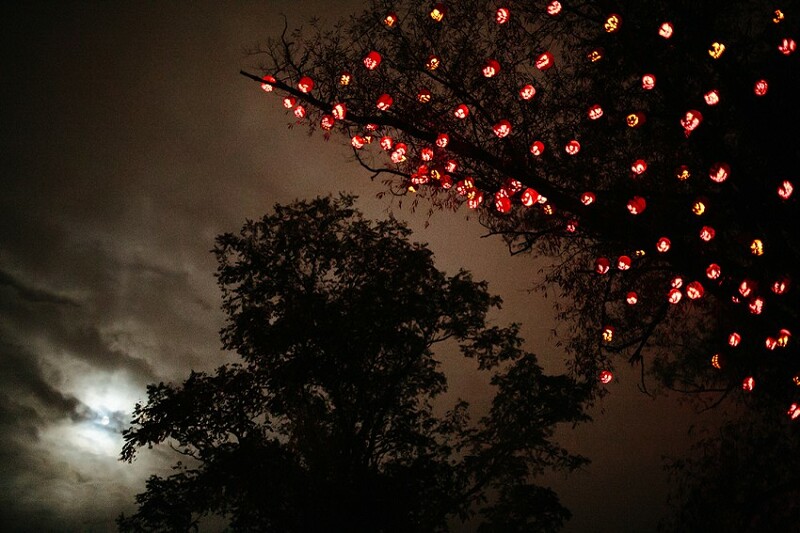 First, you’re in a world that’s predominantly night-black and pumpkin-orange. Second, you’re surrounded by the ultimate symbols of the harvest season. I mean, you could argue that pumpkins are second to corn in this matter, but I’d be up for that debate. We could televise it and break viewer records. 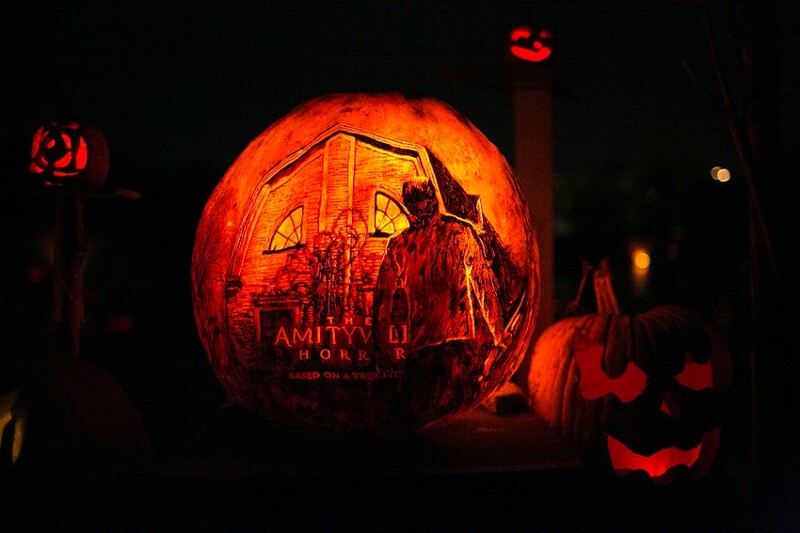 Third, you’re surrounded by spooks, ghouls, and the other leering monsters that these pumpkins have been transmographied into. Honestly, I thought I had more points than that. Like I said, it’s a working theory. 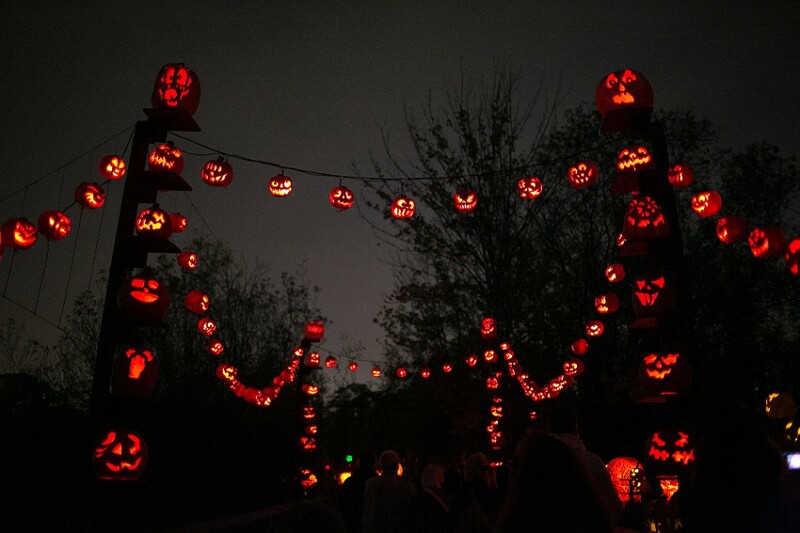 It’s also an introduction to my visit to the Jack O’ Lantern Spectacular at Roger Williams Park Zoo in Providence, Rhode Island. 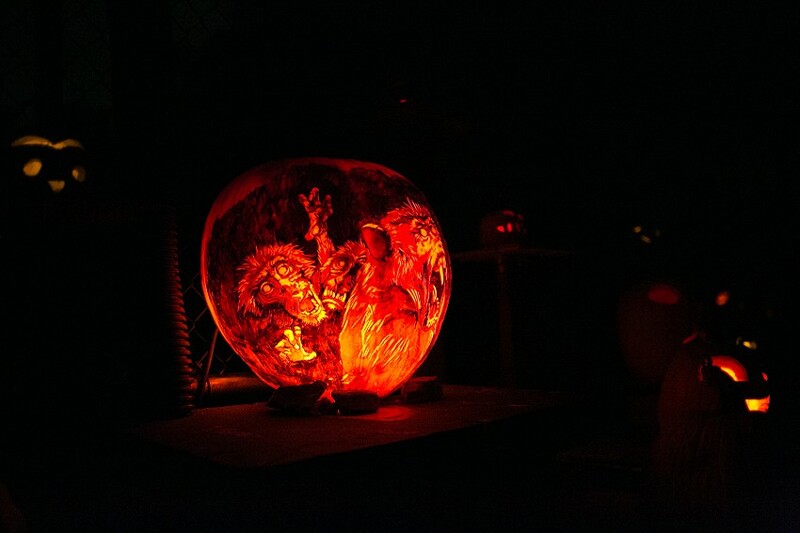 More and more zoos are running Halloween events. They have so many self-contained paths and areas that double-purposing them at night to raise more cash makes the same sense as a farmer turning his corn field into a maze before he harvests it all. 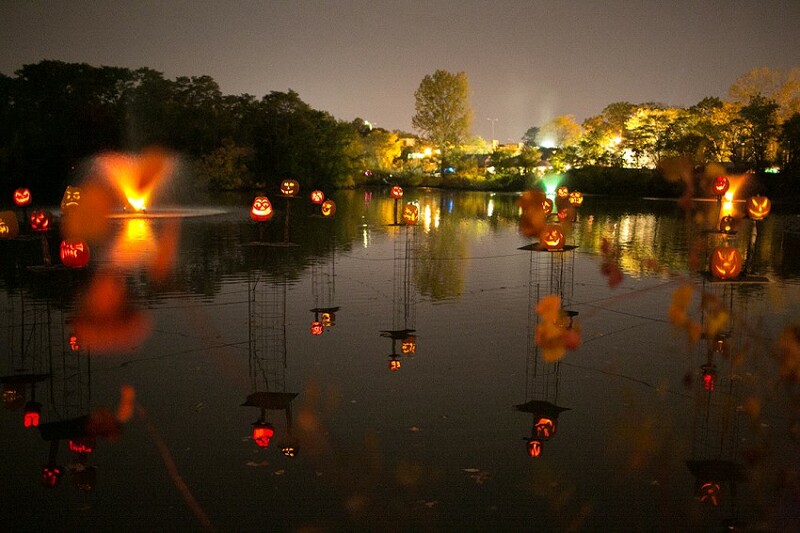 For the Roger Williams Park Zoo in Providence, Rhode Island, they’ve created a Halloween spectacle. 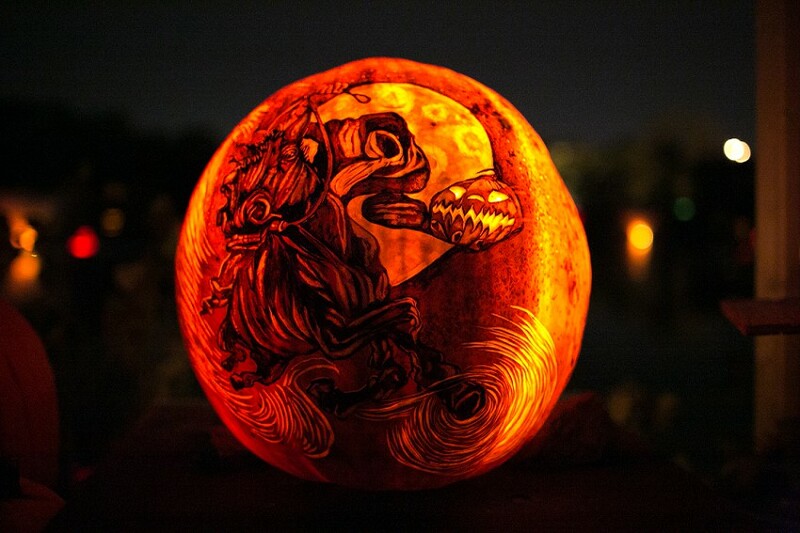 A great Halloween spectacle. But let’s deal with the elephant in the room first by dealing with the elephant in the room. 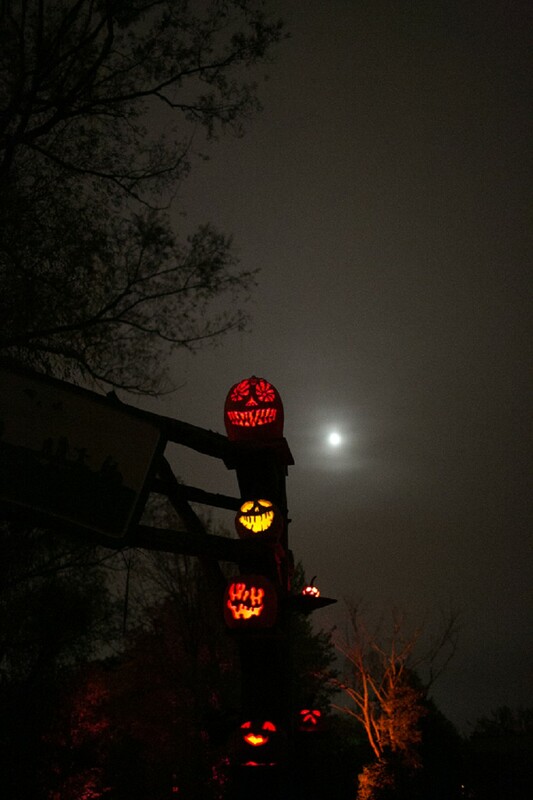 The Jack O’ Lantern Spectacular takes place at a zoo, which I thought didn’t mean too much for the experience. I assumed all the animals would be down for the night and that the organizers would choose paths that didn’t interfere with any of that. And, other than the zoo-aroma of mammals and hay wafting on the night breeze every once in a while, the assumption was basically correct. 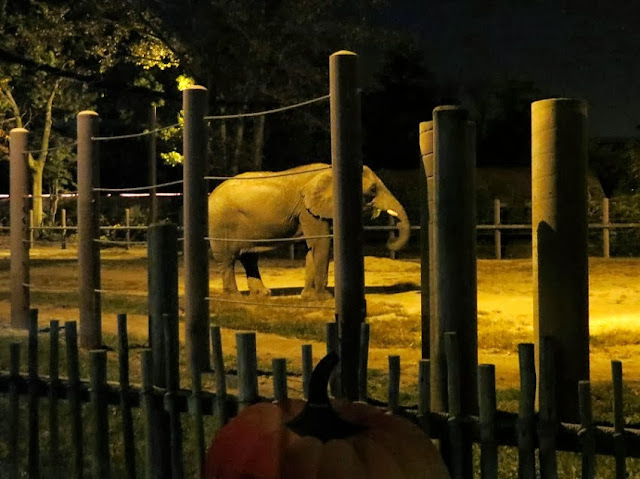 However, the line for the start of the Spectacular went right past the elephant enclosure, and it was pretty awesome to see a pair of the behemoths out for a late-night snack of hay. 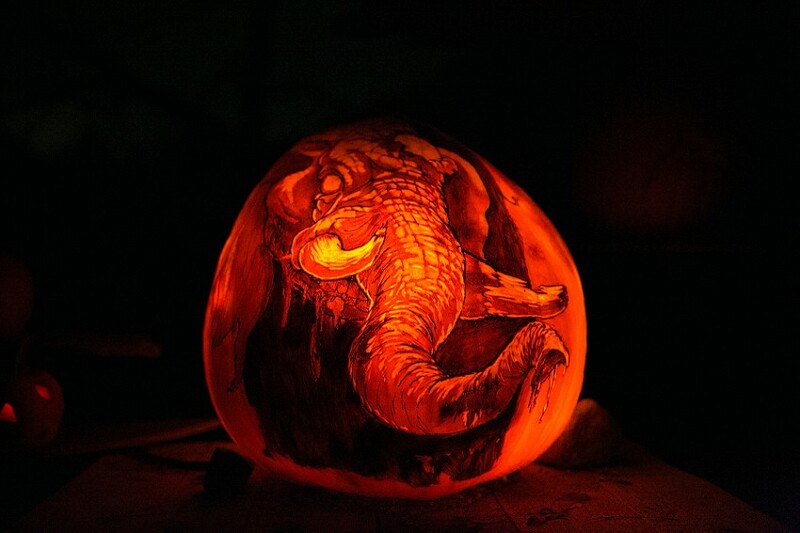 The Jack O’ Lantern Spectacular could’ve been the worst display of perforated pumpkins I’d ever seen, and I’d still have praised it since I got to see elephants at night. 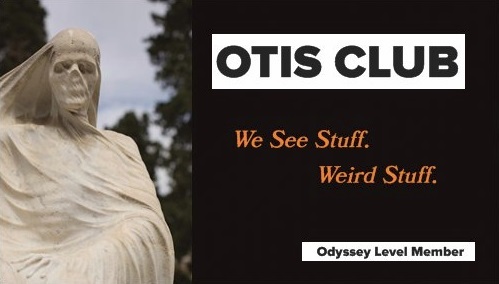 I don’t know why I think that’s so cool. I just do. 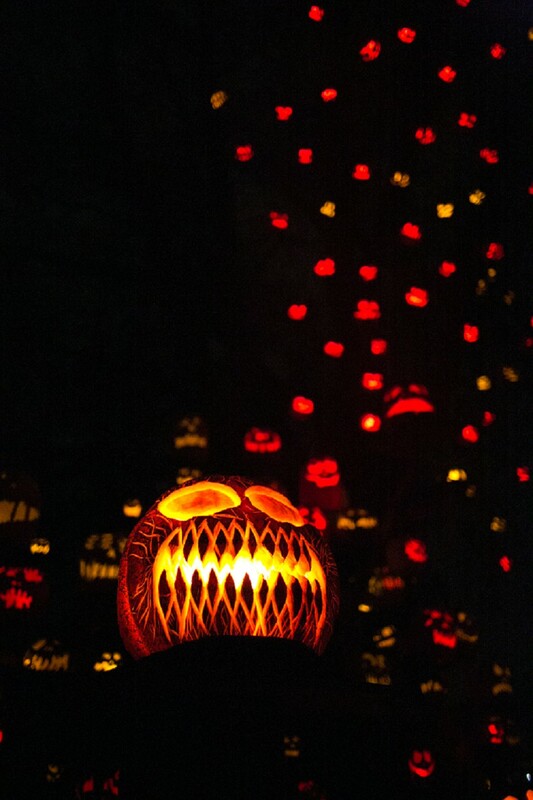 The spectacular itself was a single path lined on both sides with some 5,000 pumpkins. 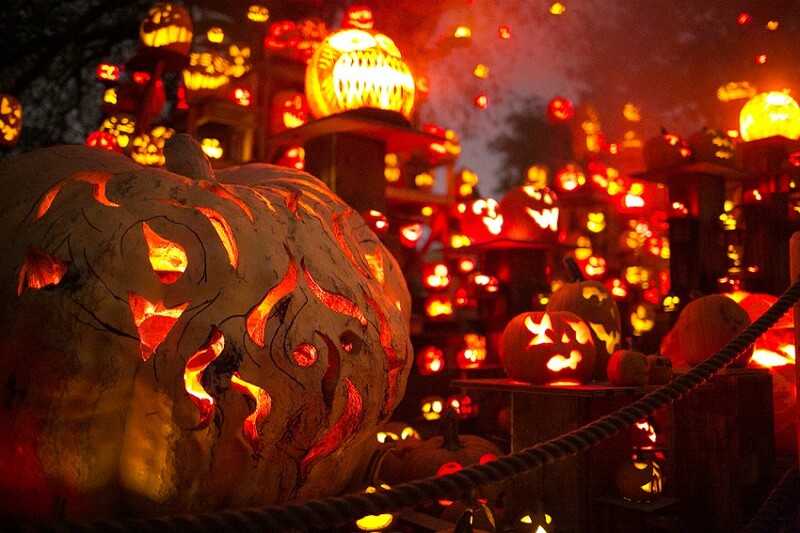 And every one of these pumpkins was real. 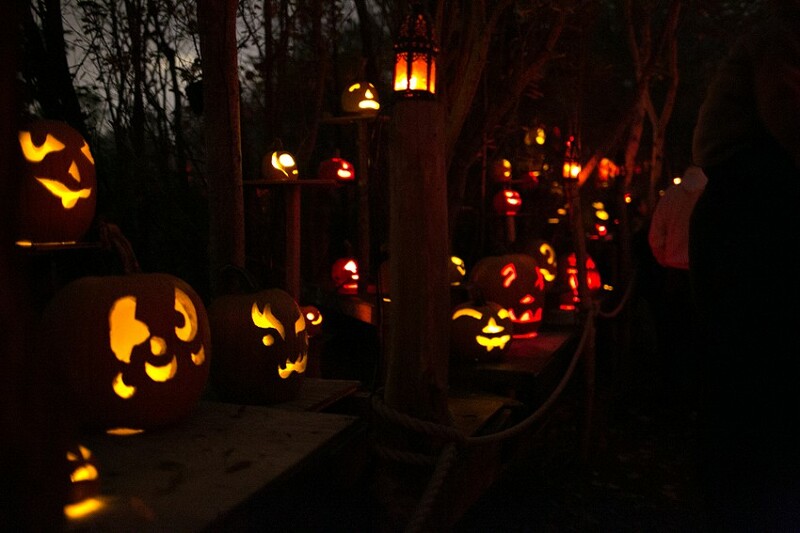 According to a placard on the trail, they go through about 20,000 pumpkins in replenishing them throughout the month. 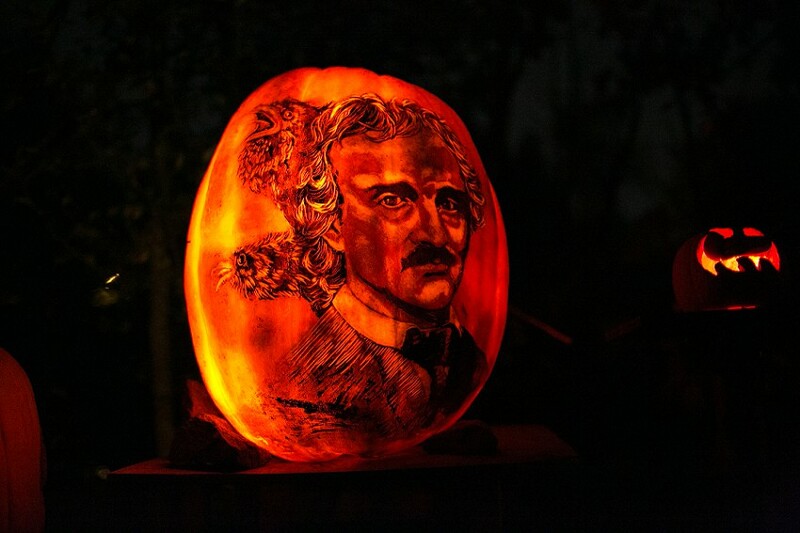 There were basically two types of pumpkins: Regular old jack o’s that ranged in size and expression and what I guess I’ll call art pumpkins, where they shave complex images into the rind of the pumpkin and highlight them with black marker or other dark substance. 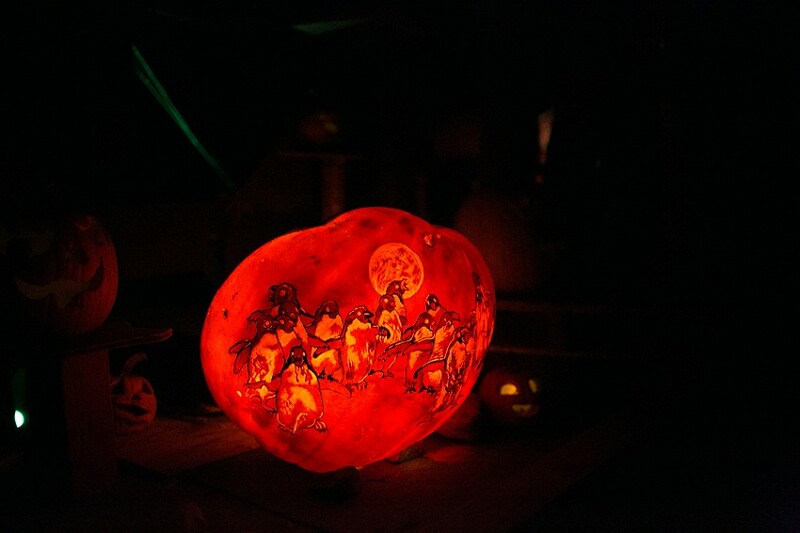 A large light inside makes the art pumpkins glow like giant orange bulbs. 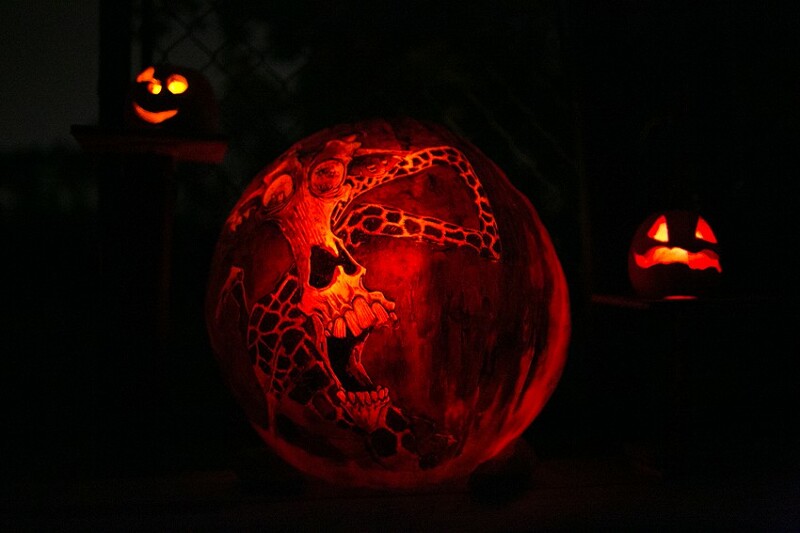 They were so well done that the pumpkins looked fake, and I had to hazard a touch to be sure. And that’s another cool thing about the Spectacular. 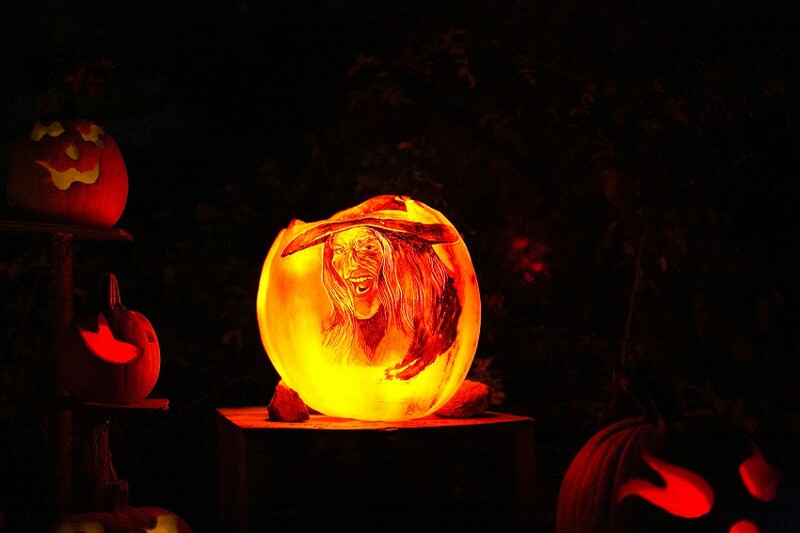 You can get right up close to most of the pumpkins. 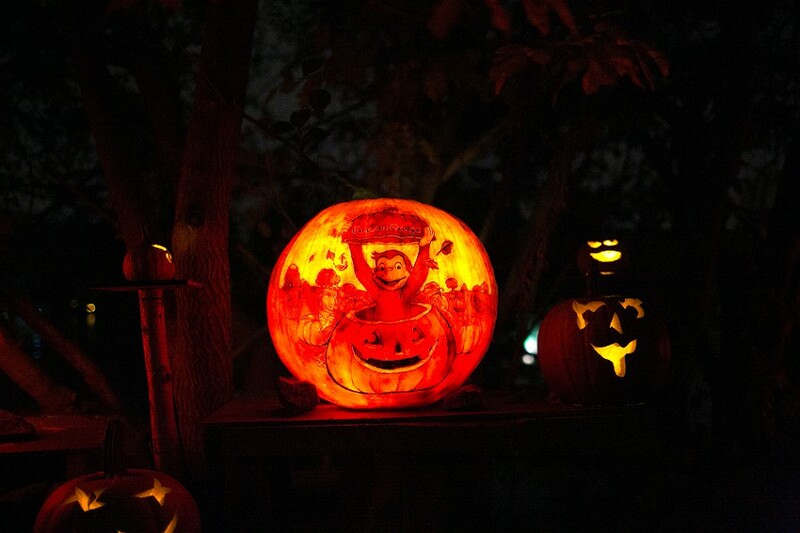 The theme of this year’s Spectacular was Pumpkinville, USA, so the walk was divided by regions of the country, with individual art pumpkins representing icons and personalities from each state and all of them surrounded by the crude faces of classic jack o’ lanterns like little imps and goblins in the dark. 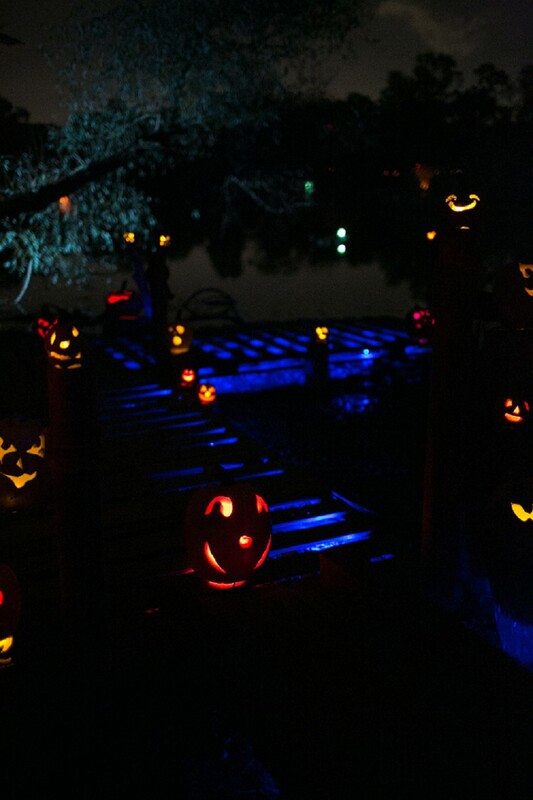 After about forty minutes of oohing and aahing and apologizing to everybody we kept bumping into in the dark, we hit the finale of the Jack O’ Lantern Spectacular. 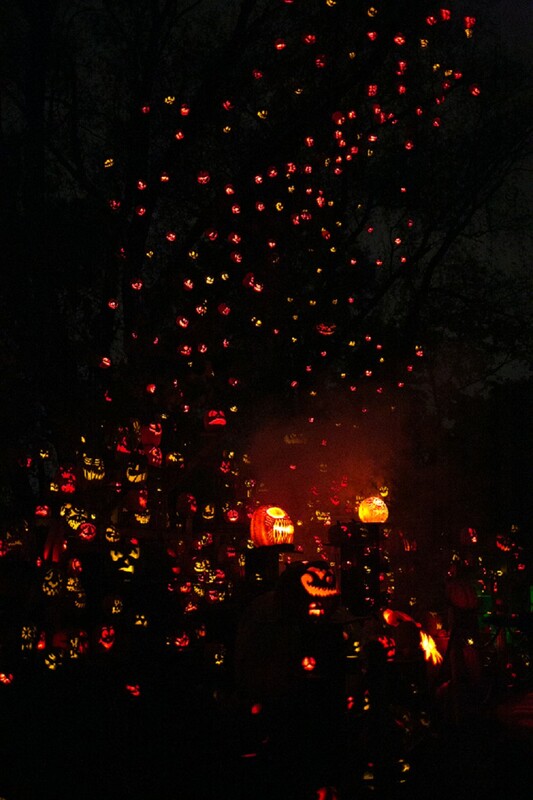 It was a massive Halloween tree, its trunk and branches covered with pumpkins all the way from the roots to the highest branch tips. 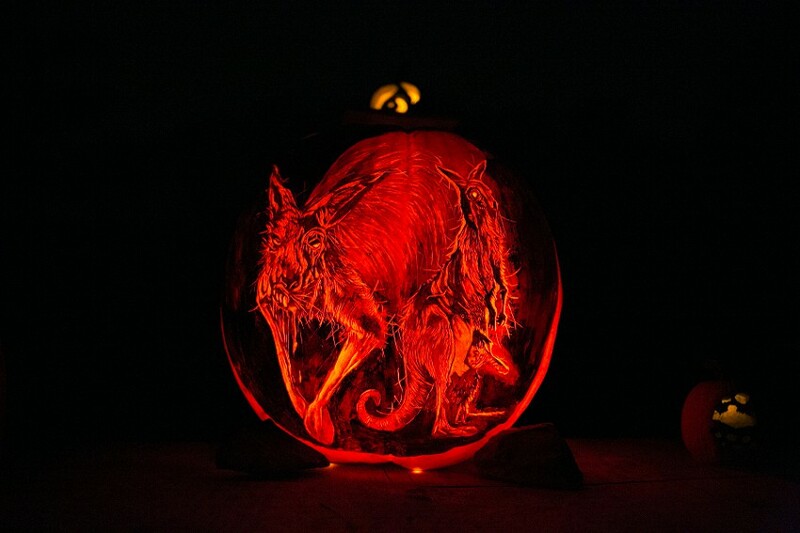 At its base and looming out of the artificial fog that blanketed the area were giant jack o’ lanterns the size of Galapagos tortoises. It was amazing. 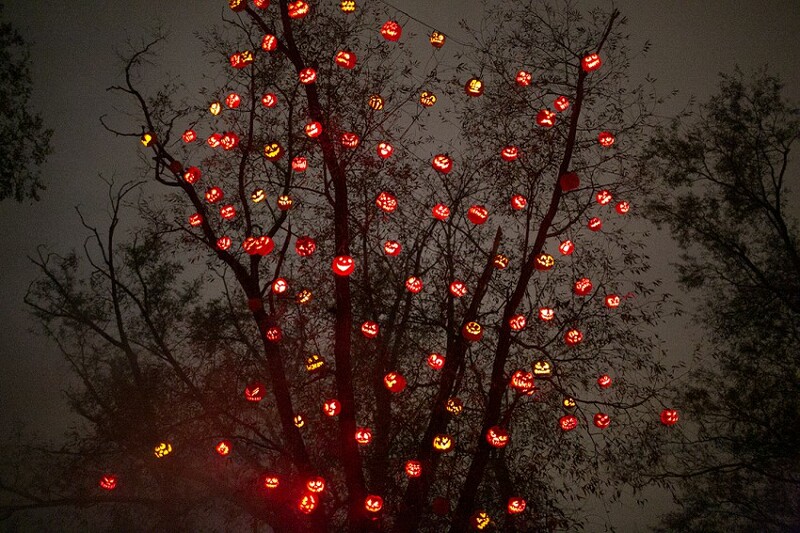 The Halloween Tree might be the ultimate expression of Halloween and Fall. Did I mention we got to see elephants at night?